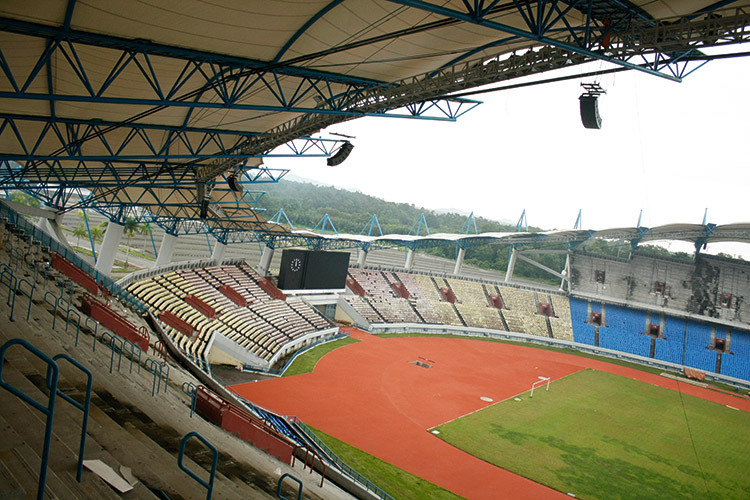 Built almost 20 years ago, the Sarawak Stadium in Kuching, Malaysia – originally erected for the 1997 FIFA World Youth Championship – was in need of an audio upgrade and with the hosting of the SUKMA sporting event on the horizon, it seemed like the perfect opportunity. The audio brief was quite specific. Any solution chosen needed to achieve an even SPL of 90dB in every seat with only a +/-3dB margin, as well as having an extra 10dB headroom built-in and having a linear frequency response. It fell to AV Electronics Marketing (AVEM) to fulfil the requirements. 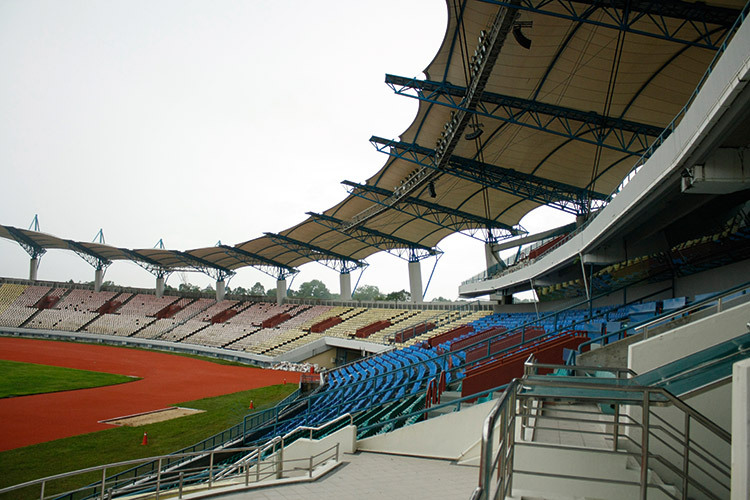 AVEM drew on its experience of installing stadiums – the most notable being Stadium Shah Alam – to design and specify the Sarawak Stadium. AVEM’s favoured choice of PA was Audiocenter and the company worked alongside local contactor, Kejuruteraan Daya Maju (KDM), to complete the installation. Due to the age of the stadium and the way in which it was designed back in the ‘90s – future proofing was certainly not at the forefront of the plans – finding suitable rigging points for the new system became a struggle. Easy maintenance of the system also had to be taken into consideration for loudspeaker placement. However, with the help of the company’s Systems Engineer, Roshan Malim, and some revisions, the system design was completed using EASE modelling software. Roshan also assisted with the final tuning and alignment of the system. The final installation comprises eight clusters, each made up of six Audiocenter V-HLA12+ MKII cabinets flown evenly down the horizontal lengths of the stadium, four more clusters – two at each end – providing coverage for the side audiences, and a further four firing at the field. A Proel PC-260 DSP processor manages each cluster. 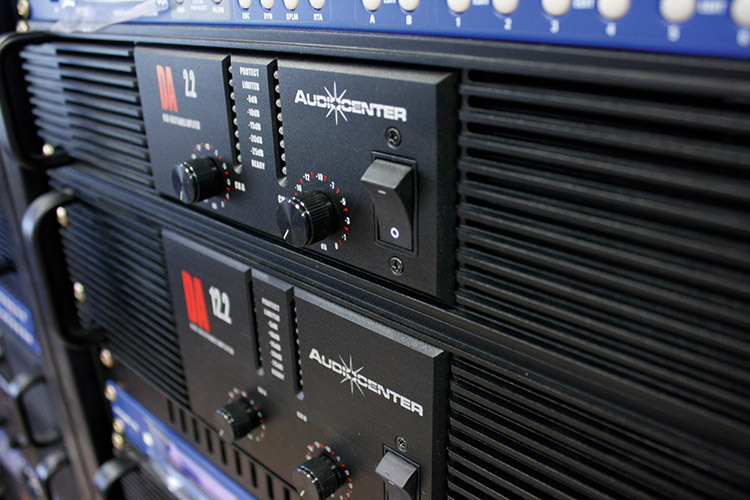 A total of 16 Audiocenter DA2.2 and 16 DA12.2 amplifiers power the 96 V-HLA12+ MKII cabinets. The DA2.2’s are used for the high frequencies and the latter for the mid frequencies. 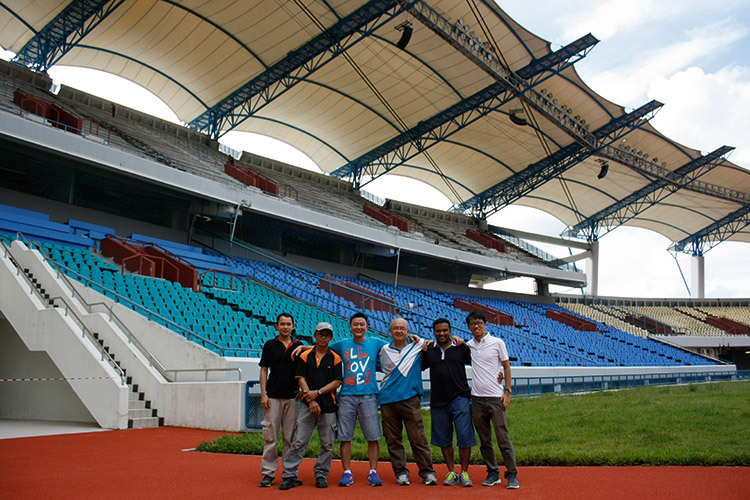 Thanks to Audiocenter, AVEM and KDM, the Sarawak Stadium is now well equipped for the crowds to descend when the SUKMA 2016 event kicks off in July.